ASTORIA/LONG ISLAND CITY — There are so many elementary school options in Astoria and Long Island City that new parents looking to settle in the area can feel overwhelmed. "Many families in Astoria find the choices available to them is phenomenal," said Siveem El-Nashar, a mother of two who organizes the Astoria Moms Meetup Group. After opting to enroll her own 4-year-old in private school, she started hosting an annual Astoria schools fair with her fellow moms last year after seeing firsthand just how difficult it is to navigate the neighborhood's many choices. Of the area's public schools, El-Nashar says many parents are drawn to those with a strong gifted and talented (G&T) program, like popular P.S. 122 on Ditmars Boulevard. The school's G&T program is especially desirable because its students are automatically fed to the academically rigorous and highly coveted gifted middle school program there called The Academy. In District 30 in Queens, middle school gifted seats have been hard to come by in recent years. "[P.S.] 122 stands out because it goes to the eighth grade," said Isaac Carmignani, co-president of the District 30 Community Education Council. But parents say the school has more to offer than just its G&T curriculum. According to its brochure, P.S. 122 serves general education students, English-language learners and students with special needs. The school is a National Blue Ribbon Award winner and also a magnet school, with a focus on "core knowledge" — the belief that all students should learn from the same shared core curriculum. P.S. 122 also offers special programs like a garden club and track and field club, as well as an arts program that works with local institutions such as the Noguchi Museum and Socrates Sculpture Park. "I love this school," said mom Tamy Bailey, 37, a graduate of P.S. 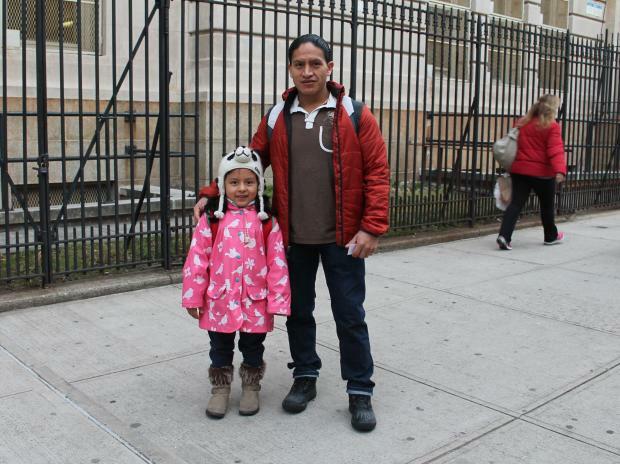 122 whose 6-year-old daughter, Denim, now attends the school. Bailey said she loves the diversity of the student body, too. "That's like a school of the U.N.," the Astoria mom added. "My daughter has friends from all over." Two other Astoria schools offer G&T programs in addition to P.S. 122. P.S. 166, a K-5 school in Long Island City, started offering gifted classes in 2010, in addition to having a strong, established program for English-language learners and a Spanish-English dual-language program. And P.S. 85, on 31st Street, offers the only citywide gifted program in Queens. The school's STEM Academy (which stands for Science, Technology, Enrichment and Math) has a curriculum that emphasizes the sciences. P.S. 85 also has an extremely active parents association, which hosts events and fundraisers to help pay for special programs, like a bird-watching partnership with the Audubon Society. The school also has a large outdoor play area and opened a garden this past fall. Some younger students at P.S. 85 are taught within four portable trailer classrooms separate from the main building. P.S. 122, Mamie Fay, 21-21 Ditmars Blvd. This sprawling pre-K-8 school has more than 1,300 students and is among the most popular in the neighborhood. It's known for its gifted and talented program, which feeds into its highly sought-after gifted middle school known as the Academy. The school has a huge outdoor school yard and playground space, and an active PTA, parents say. P.S. 85, Judge Charles J. Vallone, 23-70 31st St.
P.S. 85 boasts the only citywide gifted program in Queens, called the STEM Academy, where extra emphasis is placed on science, technology and math. Its parents association hosts frequent events, like fundraisers and movie nights. The city recently announced the STEM Academy will soon expand to include a middle school as well, though it is not yet clear where it will be located. P.S. 166, Henry Gradstein, 33-09 35th Ave. This Long Island City school serves about 600 students from kindergarten to fifth grade. It offers a G&T program, plus Spanish-English dual language and English-language learners classes. According to the Parent Association's website, P.S. 166 started a school gardening program last year. It was also chosen by the DOE to be highlighted in a "best practices" guide to showcase parent and community involvement. P.S. 78, Robert F. Wagner Jr., 48-09 Center Blvd. Located on the first floors of the CityLights building, a luxury high-rise in Hunters Point, P.S. 78 is currently the only school in the rapidly developing waterfront neighborhood and has a stunning view of the New York skyline across the river. The school offers a pre-K program, though it is limited to just 36 students. P.S. 234, The Independence School, 30-15 29th St.
Two years ago, P.S. 234 was picked by popular neighborhood blog QueensMamas as one of the best public elementary schools in Queens, based on hardworking teachers and strong parent involvement. Since then, however, the school has received C marks on its annual DOE progress reports, dropping from an A in the 2009-2010 school year. The downgrades were for "student progress," which is based on the students' performance on state standardized tests compared to previous years and similar schools.